Even I can make a map in Google Maps! I am not particularly tech savvy. 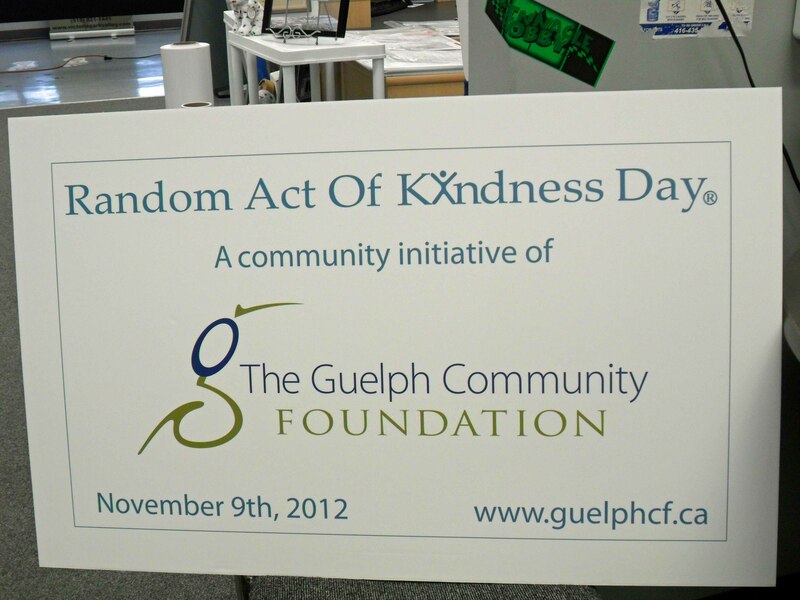 Imagine my surprise to discover that I CAN make a Google Map for Guelph’s upcoming Random Act of Kindess Day on November 9th. (Shameless plug #1). In previous years we simply listed the locations where people could pick up their Random Act of Kindness Day cards ahead of the day. A number of business help to distribute the cards along with all City of Guelph locations, churches, schools, etc… The cards just say “You have been touched by a Random Act of Kindness. Please Pay it Forward” and list the date of the event (Shameless plug #2). The address list is a little ho-hum and not really helpful if you’re trying to find something close to you so… drum-roll please… I discovered this easy video.